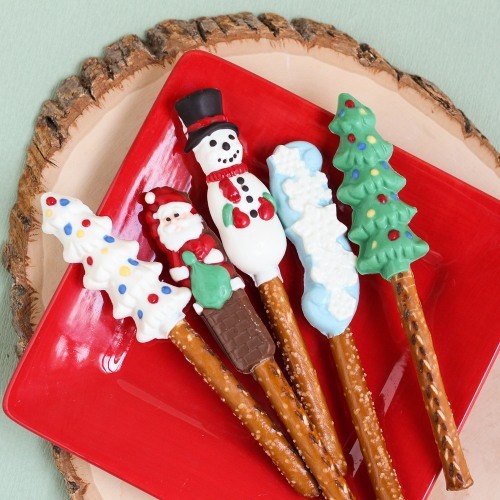 Delight your guests with these tasty chocolate molded pretzel treats this holiday season. Great as a take home party favor or for your guests to snack on at your event, these pretzel sticks come in a variety of designs and are individually wrapped and tied with coordinating ribbon. They're unique, delicious, and are so easy to pass out to guests!